On behalf of students everywhere, thank you for helping us follow our dreams. We would like to help you help food allergic kids follow their dreams as well. 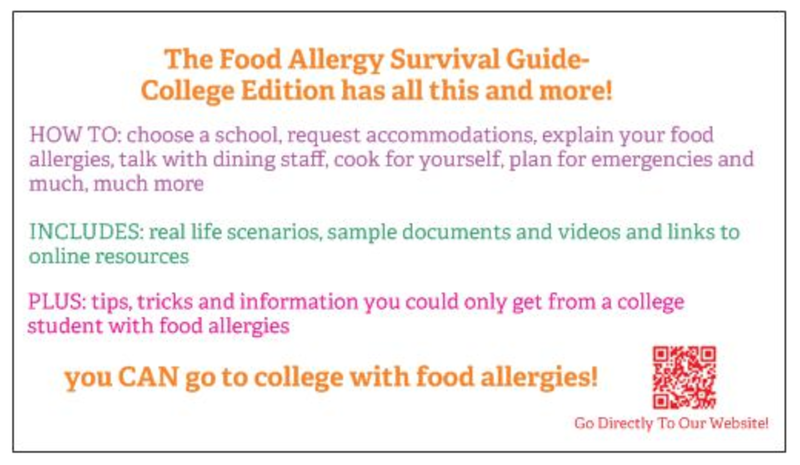 Food allergic kids, depending on their allergies pose unique challenges when they are applying to college. Some need to stay within a certain radius from home, others need to be by certain facilities (hospitals, pharmacies, etc.) and others need certain dorm accommodations. The tricky part of food allergies is, every student has their own unique needs. 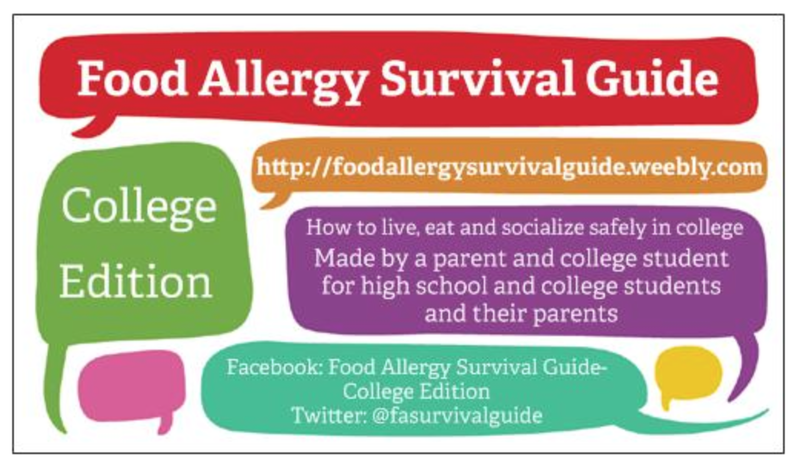 To make things a little less tricky, we have developed this website along with our guide that covers everything college and food allergies including college application. We would like for you and your students to be able use our website and guide as a resource. If you would like business cards with our guide's URL on it (for free of course), please fill out the form below!